I’ve written before here about my enduring appreciation of The Avengers (NOT The Marvel Avengers.) On June 25th of last year, an inevitable day came to pass when series star Patrick Macnee died at age 93 of natural causes after a long and full life. I held off from viewing any episodes for four or five months after that, as I wasn’t sure if knowing that Steed (the central character) was no longer with us would affect my perception of the many episodes he left behind and continuing to watch the show. When I did pull out the DVDs again, I deliberately chose a Steed centric episode from what many fans consider the series’ best season, its last in black and white, to honor Macnee in my mind. To my surprise, the episode endured in nearly the same way as before, and I even felt I was looking at it with fresh eyes. This could have been because of a long gap in viewing episodes, the changed circumstances without Macnee, my long-lasting appreciation of British culture on the whole, or some other reason entirely. Whatever the case, not only did the episode continue to feel like “visual comfort food” – my occasional term for watching the show – it still felt fresh in the present day, now just over 50 years after it was first transmitted. 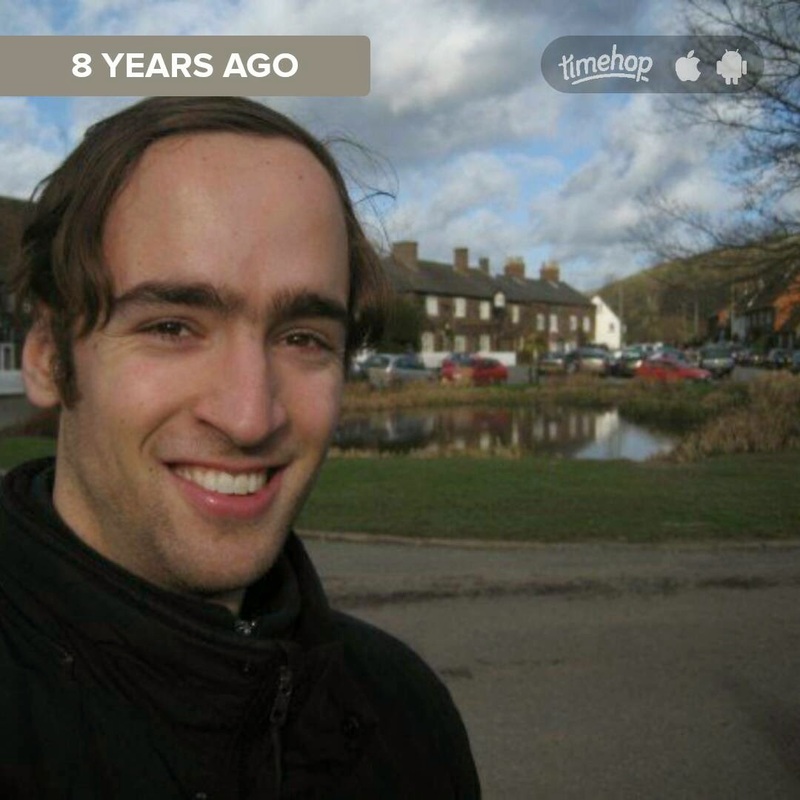 2015 Timehop recollection of a 2007 visit to an AVENGERS filming location in England. In the past couple weeks, for one reason or another, that appreciation has grown into a celebration, as I’ve watched more episodes in a month-long time frame (or so) than over the past five years. They all continue to be emblematic of the 1960’s era in which they were made. However, based on certain aesthetic choices of the series producers, perhaps centered around decisions to have limited extras and not too much rooting in that same era, the episodes can come forward in time and still remain just as entertaining and relevant. If Steed and his various partners were seen dancing in Swinging London or hanging out at a Stones or Beatles concert (which they may have done in their off-screen time), the impression would be more nostalgic and arguably dated. As it is now, the shows stand on their own terms, and they are each like little mini-films within themselves, as more than one writer about the series has come to observe. And I know I’m not the only one for whom this continuing appreciation of this series endures.